Well the farewell tour for Kobe Bryant didn’t disappoint tonight, unless you wanted the Wizards to win this game. Mamba did everything to insure wall and his crew wouldn’t spoil this one. In the second official game of his farewell tour, as expected, every time Kobe touched the ball; the crowd was Ooooh-ing and Ahhhh-ing begging him to shoot. Kobe did not disappoint. 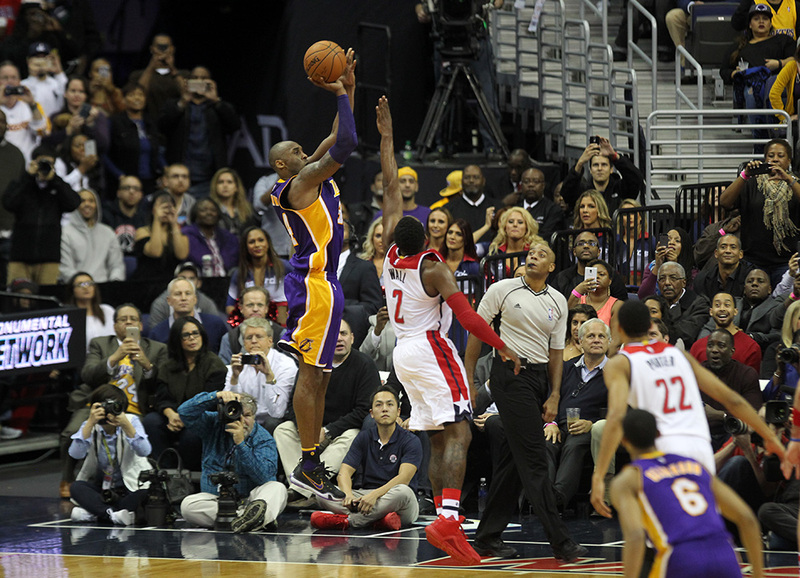 The Black Mamba hit 2-3 shots to begin and scored seven points in the first quarter. Bryant finished 10 of 24 from the floor and appeared to turn back time in the last of his team’s four games in five days, shaking off a cold stretch to hit a string of critical shots in the waning minutes. Wizards Kick off 2018-19 Season With New Renewed Optimism About the End Result, Winning!